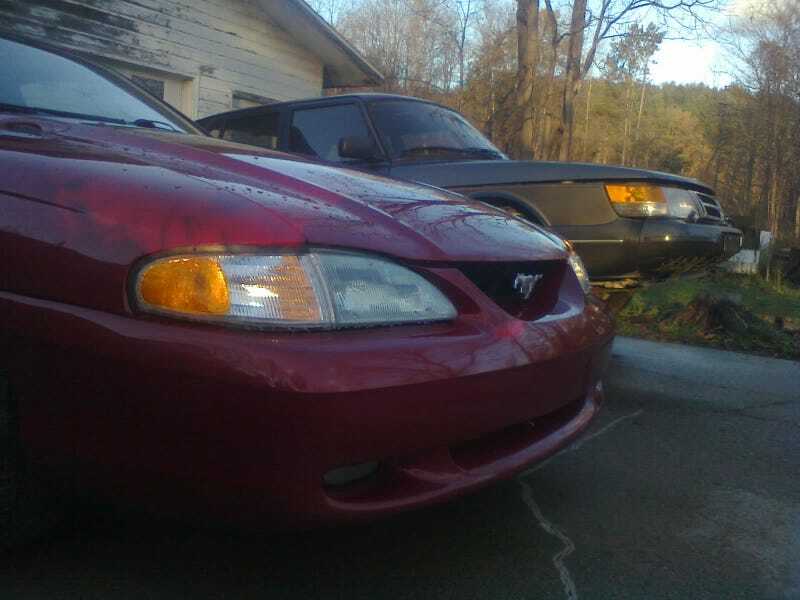 Over the past few months, my Mustang has intermittently had some extended crank times (sometimes up to 10-15 seconds), but only intermittently so. It’s been annoying but tolerable, since it would finally fire and drive normally. But it’s gotten worse recently, to the point that it just wasn’t starting, period. Meanwhile, my brother encountered a sudden failure of the 900 that we had JUST gotten running again after fixing the fuel system. After that initial run of about 25 minutes, it too developed a crank/no-start condition the next time we tried to fire it up. It took some digging to figure out my Mustang’s issue, too. Unlike the Saab, the problem was intermittent, which meant that I had to catch it in the act, or find excessive resistance or voltage drop somewhere. Despite having the shop manual, I was still missing the “Powertrain Control/Emissions Diagnosis” volume and its handy pinpoint test checklist. Between Mustang forum posts and a bit of Google-fu, I finally found an issue of Wells CounterPoint investigating this very problem. Long story short, it contained specs that superseded the shop manual, confirming what others on the forum suspected: the stator/hall-sensor/PIP/pickup coil inside the distributor was indeed failing. It produced some voltage, but apparently the PCM wants more than it was putting out. On the Saab however, the hall sensor (which I’d prefer to call a crankshaft position sensor) is not inside the dizzy, but located behind the crank pulley. Which, on these cars, is up against the firewall thanks to the backwards orientation of the engine. This also means that we don’t have much room to get a wrench on the crank so that we could turn the engine over by hand (for testing the sensor). So we located the 3-wire connector for the CKP next to the oil dipstick and used that to conduct our testing. The EZK (ignition control) module is supposed to send battery voltage to it, and receive a signal that alternates between <0.4V and >3.0V as the crank turns. So we unplugged the connector, and found the EZK unit sending only 11.7V to the sensor, about one volt less than the battery had to offer. As for the sensor itself, I used a battery jump-box to send a full 12V directly to it. But we still needed to turn the engine over by hand, as the starter would rotate it too quickly to observe the expected voltage fluctuation. So we opted to put the transmission in gear and turn the front wheels by hand (spark plugs out to relieve compression). The signal coming back from the sensor did fluctuate back and forth, reacting to engine rotation, but only slightly, not nearly enough high-end signal. It was always less than 0.2 volts. So I guess we’re gonna have to get in there after all.